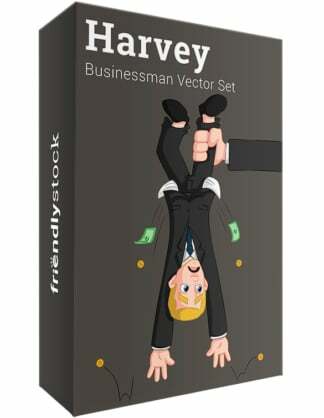 Royalty-free stock illustration of a wide-eyed businessman puffing a cigarette. He works hard and does everything asked of him, but this rebel loves those precious few moments he gets to himself. Royalty-free stock illustration of smiling businessman on headsets signaling victory with a thumbs-up sign. He’s having a great moment and trying to remain professional on the phone while letting his colleagues know he got the big deal! 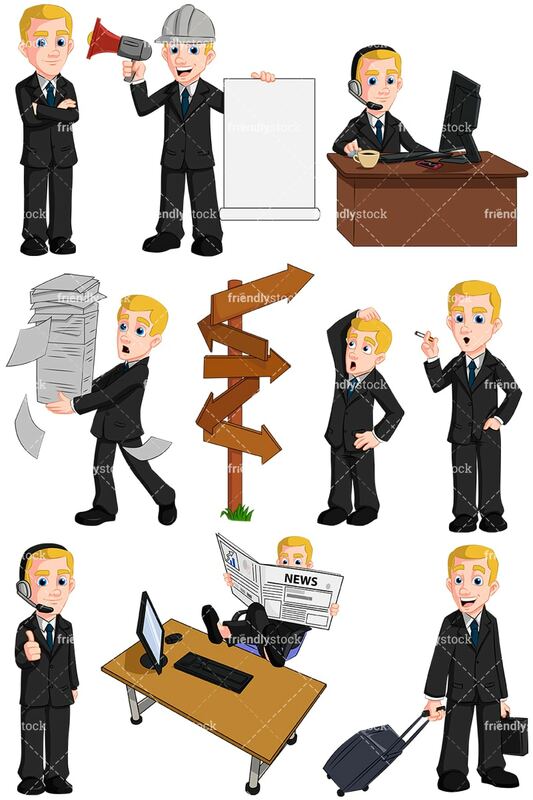 Royalty-free stock illustration of a competent businessman enjoying a cup of coffee while juggling his daily tasks. He can handle it all and keep a smile on his face while doing it! He is wearing headsets and has one hand on his computer mouse while his smartphone sits nearby. 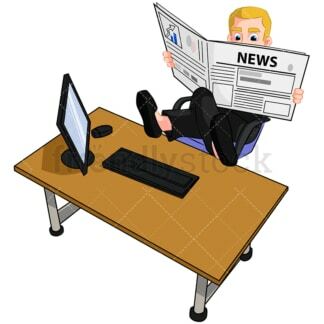 Royalty-free stock illustration of a businessman taking a moment to read the newspaper while kicking his feet up on the desk and sitting on a purple chair. He’s competent and, as usual, has arrived to work early so that he can get ready for the day! 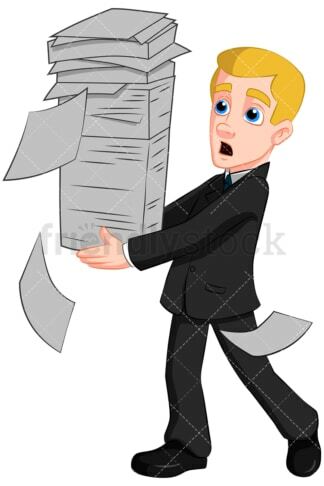 Royalty-free stock illustration of a businessman juggling a tall stack of papers that is beginning to tumble. His expression combines both surprise and concern. Can he keep the stack from slipping out of his hands? 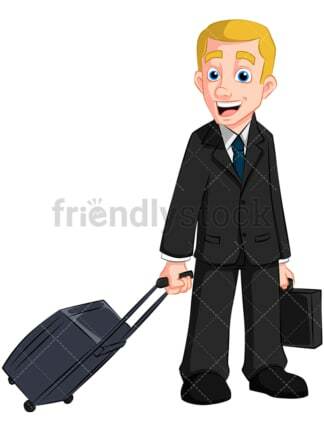 Royalty-free stock illustration of a man pulling a rolling travel bag with one hand and carrying a briefcase in the other. His mouth is wide open and the corners are turned up to look like he is greeting someone he’s happy to see! Royalty-free stock illustration of a man at a crossroads, unsure of which direction to go. Normally a shining example of confidence, he’s now scratching his head with indecision while his facial expression shows uncertainty and a slight lack of confidence. Royalty-free stock illustration of a man with megaphone wearing a hard hat and holding up instructions while making an announcement. He can do it all with a smile, and in this image he is managing a construction site while remaining pleasant and professional! 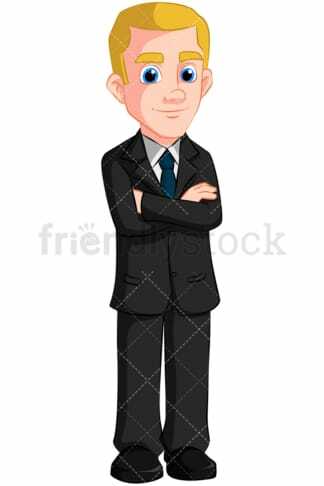 Royalty-free stock illustration of a businessman standing with folded arms and a smile on his face. His smile says he’s pleased and quite proud of you!